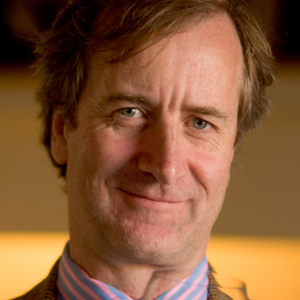 Meet Bartholomew Broadbent of Broadbent Selections during a special wine tasting at Michael's Wine Cellar! Broadbent Selections Wine Tasting Tuesday, September 15 6-7:30 p.m.
Next Tuesday, September 15, the Michael's Wine Cellar team is thrilled to welcome a true wine industry legend to Sarasota. Please join us for a special wine tasting featuring the Broadbent Selections portfolio, hosted by the one and only Bartholomew Broadbent! 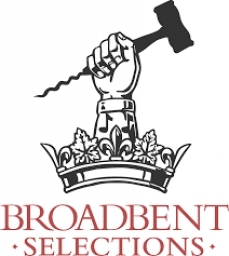 Broadbent Selections Wine Tasting Tuesday, September 15, 2015 6-7:30 p.m. Admission is $25 per person which includes tastes of up to 20 wines Click here to register now for this special wine tasting. Space is limited. Here's a little insight into the Broadbent Selections Philosophy: When we look for wines to import, at Broadbent Selections Inc., we have a few absolutes. First and foremost, the wine must be the very best of its type. It’s not enough for a wine to please us; its quality and value must bowl us over. It’s been said that the difference between a good meal and a great meal is that, with the former, you finish the meal thinking, “The food was good”. With a great meal however, you think, “Life is good”. And that’s precisely what we we look for, and what we’re proud to represent; wines that gratify not just the palate, but the soul. Yet, we do more than represent wine. We also represent the people and passion behind those wines, which is why, since we were founded in 1996, our focus has always been on family-owned wineries-on places with personality and stories, and on wines that come from the heart. Quality and character: those are absolutes. We’re extremely proud of both the wines we represent at Broadbent Selections and the great people behind them. Remember our September Open House Wine Tasting will be held on the SECOND Saturday of the month, that's this weekend! We look forward to seeing you at Michael's Wine Cellar, 2-4 p.m. this Saturday, September 12, 2-4 p.m., for our monthly Open House Wine Tasting in the store. Admission to these casual, walk-about wine tasting events is $10/person for each event. Guests are always welcome at the door, but you are welcome to RSVP in advance by clicking here to register online now. Of course, Gulf Coast Connoisseur Club members receive points on all retail purchases. We extend our FINAL online offer of the summer this Monday, August 31, 2015! 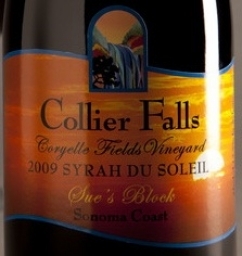 For one day only, save 15% off your web purchases of all bottles of Syrah through www.michaelswinecellar.com. To take advantage of the special discount, simply enter promotional code: "syrah15" while shopping online. Click here to shop now! Valid only on online orders of $50 and more. Not valid with any other offers or discounts. Other restrictions may apply. Michael Klauber, Co-Proprietor of Michael's On East and Michael's Wine Cellar, just returned from leading 80 Gulf Coast Connoisseur Club travelers through South Africa's winelands with his wife Terri and Ryan Hilton, our travel partner from Admiral Travel International. Yesterday, he joined the ladies of ABC 7's Suncoast View to take in an altogether different type of view - showcasing photos of the group's wildlife and winery experiences! Of course, Michael just had to offer Rebecca, Linda, Bobeth and Stephanie a taste - or rather a sip! - of South Africa in the studio. (Click here to view the video segment.) 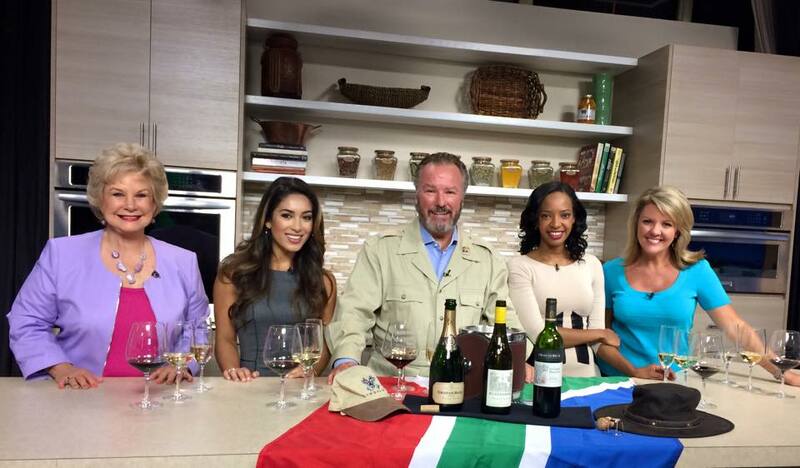 Michael showcased the following wines during this in-studio tasting on Suncoast View on Tuesday, August 25, 2015. Each of these great wines are available at a great value from Michael's Wine Cellar! Enjoy these three South African wines, some of Michael's top picks, for under $20 a bottle. Please simply click the links below to purchase any wine online. Sparkling "Brut", Graham Beck, Robertson, ZA, NV Tasting Notes: A blend of 49% Chardonnay and 51% Pinot Noir, the Non-Vintage Brut has a soft, creamy bouquet with touches of apple-blossom and yeast aromas. The palate is well defined with good acidity on the entry, citrus peel, fresh lime with a pleasing, commercially minded creamy finish. Their Story: Graham Beck wines is now entering its third generation as a family winery. It was established in 1983 when entrepreneur Graham Beck purchased Madeba farm outside the Western Cape town of Robertson with a fervent ambition to establish a world-class winery in this region. The success of the Robertson winery has been extended to the second Graham Beck cellar in Franschoek, one of the oldest winemaking regions in South Africa. "Disgorged February 2011, a blend of 49% Chardonnay and 51% Pinot Noir with 8.6 gm/l residual sugar, the Non-Vintage Brut has a soft, creamy bouquet with touches of apple-blossom and yeast aromas. The palate is well defined with good acidity on the entry, citrus peel, fresh lime with a pleasing, commercially minded creamy finish. Unbeatable "bang for bucks" as they say. Drink now." -Wine Advocate Chardonnay, Rustenberg, Stellenbosch, ZA, 2012 Tasting Notes: This is an elegant Chardonnay, with a scent of lemon, mandarin orange and hints of pine needles, complemented by a crisp finish on the palate. -Founded in 1682 and nestled in the valley of the Simonsberg in South Africa’s premium wine region, Stellenbosch. Rustenberg’s rich heritage and ethos has been informed by many centuries of human influence striving to understand and work with nature to produce wines of distinct character true to their terrior, variety and informed style. Cabernet Sauvignon "Game Reserve", Graham Beck, ZA, 2013 Tasting Notes: The wine has a great complexity of black berry fruit, dark chocolate, plums and tobacco spice on the nose. This wine has a rich, juicy entry supported by a dense fruit core and firm tannins. An elegant creamy palate leads to a long lingering finish. -Graham Beck wines is now entering its third generation as a family winery. It was established in 1983 when entrepreneur Graham Beck purchased Madeba farm outside the Western Cape town of Robertson with a fervent ambition to establish a world-class winery in this region. This Monday, August 17, save 15% off your web purchases of all bottles of Merlot from the online store of Michael's Wine Cellar! Valid on online orders only of $50 and more. Click here (Monday, August 17, 2015 only) to shop online and take advantage of the discount by entering promotional code: "merlot15" Not valid with any other offers or discounts. Other restrictions may apply. Promo code is case sensitive. Online wine offer alert - again! This Monday, August 10, save 15% off your web purchases of all bottles of Pinot Grigio from the online store of Michael's Wine Cellar! Valid on online orders only of $50 and more. Click here (Monday, August 10, 2015 only) to shop online and take advantage of the discount by entering promotional code: "pinotgrigio15" Not valid with any other offers or discounts. Other restrictions may apply. Promo code is case sensitive. Stroll from station to station tasting 50+ reds, whites, rosés and sparkling wines while talking with visiting wine specialists. 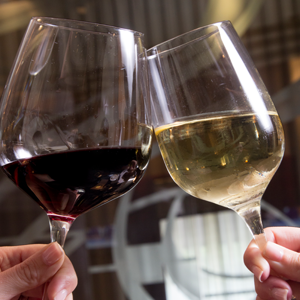 Michael's monthly Open House Wine Tastings are casual events, recognized as some of the best wine tastings in Sarasota! Admission to each Open House Wine Tasting is $10 per person. September Open House Wine Tasting Saturday, September 12, 2015, 2-4 p.m. October Open House Wine Tasting Saturday, October 3, 2015, 2-4 p.m. November Holiday Open House Wine Tasting* Saturday, November 21, 2015, 2-4 p.m. December Holiday Open House Wine Tasting* Saturday, December 12, 2015, 2-4 p.m. *Each year, during Michael's Holiday Open House events, all guests are also asked to bring an unwrapped toy as a donation. Get into the spirit of giving by bringing an unwrapped child's gift for local children in need this season. (No exceptions, don't be a scrooge!) Toy donations will be collected for the Salvation Army's Angel Tree program. Michael's Wine Cellar is located at 1283 S. Tamiami Trail, Midtown Plaza in Sarasota. We look forward to hosting you in the retail store soon! Winemaker’s Notes: Inky in color, our 2013 Petite Sirah is brimming with aromatics; wisteria blossom, cherries and crème brulée perforate the senses. Dense flavors of milk chocolate, blueberry and clove mingle harmoniously to create this deep, rich and expressive wine. Spending nearly fourteen months in 90% French oak, the presence of a vanilla core is undeniable. Together these dark fruit flavors, spice notes and floral aromatics create a wonderfully refined glass of wine with a polished finish. Mike Green of Stacole Fine Wines will host our regular Whiskey Club Tasting this month at Michael's Wine Cellar. Please join us! Tuesday, August 11, 2015 6:30 pm at Michael's Wine Cellar Admission is $10 per person which includes light hors d'oeuvres and tastes of each featured whiskey: Scotch "Blended", Bank Note, 5 Year Scotch "Soverign", Tullibardine, Highland Scotch "Cask Strength", Springbank, Campbeltown, 12 Year Scotch "Peated", Longrow, Campbeltown Click here to register online for this special event. Online wine offer alert! You've heard of "Christmas in July," but Michael's Wine Cellar is extending the spirit of giving and celebration through August, offering a special online discount each Monday all summer! This Monday, August 3, save 15% off your web purchases of all red blends! Valid on online orders only of $50 and more. Click here this Monday, August 3, 2015, to shop online and take advantage of the discount by entering promotional code: "redblend15" Not valid with any other offers or discounts. Other restrictions may apply. Promo code is case sensitive. We look forward to seeing you at Michael's Wine Cellar, 2-4 p.m. this Saturday, August 1, for our monthly Open House Wine Tasting in the store! Admission to these casual, walk-about wine tasting events is $10/person for each event. Advanced registration is available online, but not required. Guests are always welcome at the door! Of course, Gulf Coast Connoisseur Club members receive points on all retail purchases. California. South America. Oregon. South Africa. France... Where does your favorite Chardonnay hail from? 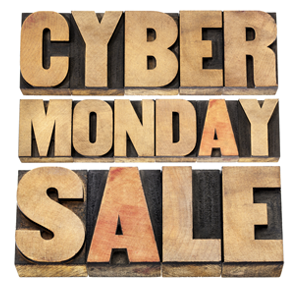 Regardless of where your preferred grapes are harvested, all bottles of Chardonnay are "on sale" this Monday through Michael's Wine Cellar's online wine store. Simply place your order on Monday, July 27, 2015, by 11:59 p.m. and save 15% off your web purchases of all Chardonnay wines. Valid on online orders only of $50 and more. Shop now by clicking here. To take advantage of the discount, enter promotional code "chardonnay15" to take advantage of this special offer. Not valid with any other offers or discounts. Other restrictions may apply. Promo code is case sensitive. Still learning about wine? 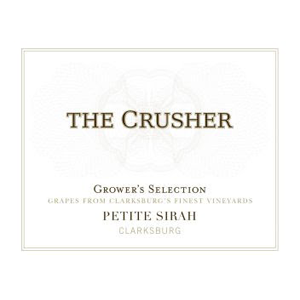 We thought we'd share this detailed description of this popular grape, prepared by our friends at Wine-Searcher.com. CHARDONNAY (Courtesy of Wine-Searcher.com) Chardonnay is the world’s most famous white-wine grape and also one of the most widely planted. Although the most highly regarded expressions of the variety are those from Burgundy and California, many high-quality examples are made in Italy, Australia, New Zealand and parts of South America. Describing the flavors of Chardonnay is no easy task. While many Chardonnay wines have high aromatic complexity, this is usually due to winemaking techniques (particularly the use of oak) rather than the variety's intrinsic qualities. Malolactic fermentation gives distinctive buttery aromas. Fermentation and/or maturation in oak barrels contributes notes of vanilla, smoke and hints of sweet spices such as clove and cinnamon. Extended lees contact while in barrel imparts biscuity, doughy flavors. Because of this high level of winemaker involvement, Chardonnay has become known as the "winemaker's wine." Chardonnay Vines: The variety itself (although often said to be relatively flavor-neutral) is responsible for most of the fruity flavors found in Chardonnay wines. These range from the tropical (banana, melon, pineapple and guava) to stonefruits (peach, nectarine and apricot), citrus and apples. Climate plays a major role in dictating which fruit flavors a Chardonnay will have. Broadly speaking, warm regions such as California, Chile and much of Australia tend to give more tropical styles. Temperate zones such as southern Burgundy or northern New Zealand create wines marked out by stonefruit notes. The very coolest Chardonnay vineyards (those in Chablis, Champagne and Germany) lean towards green-apple aromas. Mineral descriptors such as chalk, wet stones and crushed seashells also find their way into Chardonnay tasting notes. These are sometimes attributed to the soils in the vineyard, although the relationship between soil and wine flavor has become widely exaggerated. The most famously minerally Chardonnay wines are those of Chablis, one of the very few wine regions to focus on a largely unoaked style of Chardonnay. Although most famous for its still, dry wines, Chardonnay is used to produce an impressively diverse range of wine styles. The variety is put to use in sparkling wines all over the world (most famously Champagne), when it is usually paired with Pinot Noir. Canada even produces sweet Chardonnay ice wines. 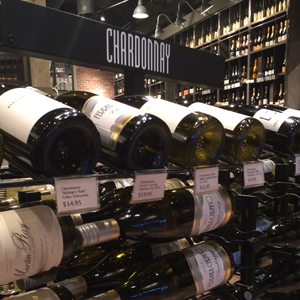 Chardonnay is particularly popular with wine producers, not least because it has a reliable market of keen consumers. The variety produces relatively high yields, will grow in a broad spectrum of climates and can be made into wine of acceptable quality with relative ease. In poor vintages, deficiencies can be covered up with oak flavors, reducing the financial impact of a bad harvest. In the vineyard, Chardonnay presents a few viticultural challenges, but none that can't be solved with age-old techniques or a little help from technology. (Were this not the case, the variety would certainly not be as successful as it is.) 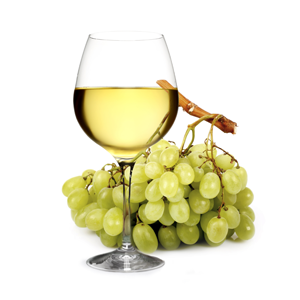 In very warm climates, Chardonnay grapes tend to lose their natural acidity, resulting in flat, overblown wines. This can be partially corrected with a simple addition of acid, or by harvesting early and compensating for lack of flavor by using oak and malolactic fermentation. Vignerons in cooler climates have a quite different problem with the variety, as the vines bud and flower early in the season, making them susceptible to spring frosts. Vignerons in Burgundy (particularly in Chablis) have traditionally mitigated this with braziers between the vine rows. These are not just for warmth – they also create frost-preventing air currents. 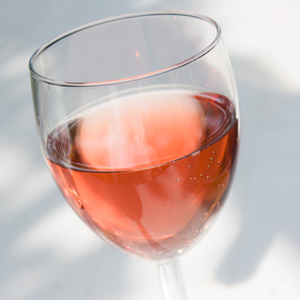 'Tis the season to enjoy a lovely rosé! Take advantage of another exclusive online offer from the Michael's Wine Cellar team by placing your web order today, Monday, July 20, 2015. Simply place your order by 11:59 p.m. today (7-20-15) and save 15% off your web purchases of all rosé wines. Valid on online orders only of $50 and more. Shop now by clicking here. To take advantage of the discount, enter promotional code "rose15" to take advantage of this special offer. Not valid with any other offers or discounts. Other restrictions may apply. Promo code is case sensitive. You've heard of "Christmas in July," but Michael's Wine Cellar is launching new special offers sure to bring out the gift-giving - or simply celebration spirit - in all wine connoisseurs EACH WEEK this summer! Today, the Michael's Wine Cellar team is announcing a new series of "Cyber Monday" specials, available exclusively through the online shop at MichaelsWineCellar.com this summer. With unique access to some of the most sought-after wines from around the world, we are thrilled to debut our first special offer to our loyal clients and fellow wine lovers! Simply place your order by 11:59 p.m. on Monday, July 13 and save 15% off your web purchases of Bordeaux wines. Valid on online orders only of $50 and more. Shop now by clicking here. To take advantage of the discount, enter promotional code "bordeaux15" to take advantage of this special offer. Not valid with any other offers or discounts. Other restrictions may apply. Promo code is case sensitive. We hope you enjoyed a safe and happy Independence Day weekend last week. Due to the holiday, we our July Open House Wine Tasting was scheduled for the second Saturday of the month. Thus we look forward to seeing you at Michael's Wine Cellar, 2-4 p.m. this Saturday, July 11! Table 1 Southern Wine & Spirits Sparkling "Rose", Mumm Napa Valley, CA, NV Sauvignon Blanc "Josh", Joseph Carr, Sonoma County, CA, 2012 Chardonnay "Karia", Stag's Leap Wine Cellars, Napa Valley, CA, 2013 Merlot "Josh", Joseph Carr, CA, 2013 Cabernet Sauvignon, Darcie Kent, Central Coast, CA, 2011 Cabernet Sauvignon, Girard, Napa County, CA, 2012 Table 2 Premier Chardonnay "Wild Ferment", Errazuriz, Casablanca Valley, CL, 2011 Chardonnay "Morino", Beni di Batasiolo, Langhe, IT, 2011 Riesling, Willamette Valley Vineyards, OR, 2013 Pinot Noir, Hook & Ladder Vineyards, Russian River Valley, CA, 2013 Chianti "Castiglioni", Frescobaldi, Tuscany, IT, 2012 Cabernet Sauvignon "Freakshow", Michael & David, 2012 Table 3 Stacole Prosecco "Zeta Dry", Zardetto, IT, 2012 Trebbiano "San Benedetto", Zenato, Lugana, IT, 2013 Vinho Verde, Casal Garcia, PT, NV Cabernet Sauvignon, Slingshot, Napa Valley, CA, 2013 Red Blend “Ungrafted Red”, Ghostrider, Lodi, CA, 2014 Malbec "Q", Zuccardi, Mendoza, AR, 2011 Table 4 Opici Chenin Blanc, Lion's Lair, Swartland, ZA, 2012 Sauvignon Blanc, Rustenberg, Western Cape ZA, 2014 Viognier “Wilson Vineyard”, The Crusher, Clarksberg, CA, 2013 Red Blend "Sugar Beet Ranch", The Crusher, Clarksburg, CA, 2011 Red Blend "Cos de los Siete", Michel Rolland, 2011 Shiraz "Estate", Groot Constantia, Constantia, ZA, 2010 Table 5 Transatlantic Rose, Mulderbosch, Stellenbosch, ZA, 2014 Fume Blanc, Dry Creek Vineyard, Sonoma County, CA, 2013 Chardonnay "Silver", Mer Soleil, Santa Lucia Highlands, CA, 2013 Red Blend "Big Easy", Ernie Els, Stellenbosch, ZA, 2011 Dolcetto d'Alba, Pio Cesare, Alba, IT, 2012 Zinfandel, "Decoy", Duckhorn Vineyards, Sonoma County, CA, 2012 Table 6 Augustan Pinot Gris, Adelsheim, Willamette Valley, OR, 2013 Rhone Blend "Guilhem Blanc", Moulin De Gassac, Languedoc, FR, 2014 Chardonnay "Bishop's Peak", Talley Vineyards, Edna Valley, CA, 2013 Pinot Noir "Bishop's Peak", Talley Vineyards, San Luis Obispo, CA, 2013 Merlot "Nelms Road", Woodward Canyon, WA, 2012 Cabernet Sauvignon, Sean Minor, Napa Valley, CA, 2011 Table 7 Michael's Wine Cellar Sparkling "Rosa Regale", Banfi Vintners, Brachetto d'Acqui, IT, NV Pinot Gris, Drystone, Central Otago, NZ, 2008 Albarino, Bonny Doon Vineyard, Central Coast, CA, 2012 Tempranillo "Termes", Numanthia, Toro, ES, 2011 Chateau Tour St. Bonnet, Medoc, FR, 2010 Chateau d'Aiguilhe, Cotes de Castillon, FR, 2011 Admission to these monthly wine tasting events is $10/person for each event. Advanced registration is available online, but not required. Guests are always welcome at the door! Of course, Gulf Coast Connoisseur Club members receive points on all retail purchases. We're thrilled to announce another new arrival at Michael's wine and spirits shop in Sarasota! “Bottled in Bond 1897” Old Forester Bourbon $56.95 (Only four bottles available.) Here's the insider update from InsiderLouisville.com: To be labeled Bottled in Bond, the bourbon must have been the product of one distillation season, one distiller, and from one distillery. Legally, it must have been aged in a federally bonded warehouse for at least four years and bottled at full 100 proof. This bourbon will be called Old Forester 1897 Bottled in Bond. The name comes from the U.S. Bottled-in-Bond Act of 1897. The bourbon was created by mirroring production techniques of the 1897 time period. Old Forester was the founding brand of Brown-Foreman in 1870, created by George Garvin Brown. Hot off the delivery truck! We're thrilled to announce a new arrival of this special limited production Bourbon. 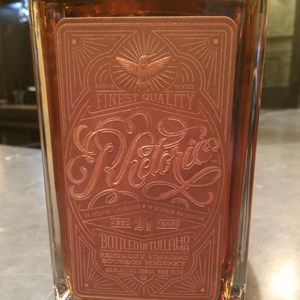 Michael's Wine Cellar has just received six bottles of Bourbon "Rhetoric", Orphan Barrel, 21 Year, 750ml. This special find is priced aggressively at $119.95 per bottle, and yes, only six bottles are available. These won't last long! Orphan Barrel Rhetoric 21 Year Old Bourbon Comes To Retail By Nino Marchetti, The Whiskey Wash Diageo’s Orphan Barrel project, love it or hate it, has stirred up quite the discussion since it debuted last year around strong consumer desires focused on anything whiskey with an older age statement. While some of the bottlings are one-off releases others, such as Rhetoric, aim to be more once a year shots into retail markets. Last year we saw Rhetoric as a 20 year old bourbon, and though there’s no official word from Diageo yet, I’ve noticed a whole bunch of 21 year old has started trickling over the last few weeks into liquor stores. The Orphan Barrel Rhetoric 21 Year Old, with an average retail price of $129 as of this post, looks as if it will be the second of six planned under this particular name from what I can tell over at its website (the oldest listed there is a 25 year old scheduled for a 2019 release). What Diageo is doing here with Rhetoric by staggering its stock over the years is, according to them, "an experiment in how barrel maturation imparts a lasting impression year after year. Each new year results in an older and wiser limited release from remaining maturing stock." Click here to read the full article on The Whiskey Wash. NOTE DATE FOR JULY: This event will be held on the SECOND Saturday of month due to the Independence Day holiday. Join us on Saturday, July 11, 2-4 p.m. at Michael’s Wine Cellar for our monthly Open House Wine Tasting and taste dozens of international wines. Admission is $10/person. Online reservations are available at www.michaelswinecellar.com; however, reservations are not required. 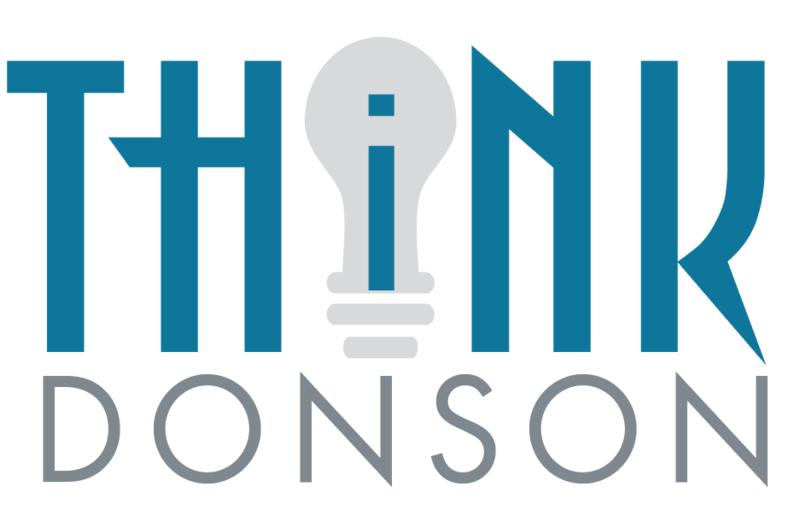 Gulf Coast Connoisseur Club members earn points on all retail purchases during Open House events. Guests are always welcome!